The concentrated formula of the ampoules works to give multi-active protecting against environmental pollution on the skin. It has been clinically proven to help fight collagen degradation as well as helping to improve your skin's hydration. After using this product, my skin felt super moisturised which is perfect for the dry and cold season. Who here suffers from irritated or dry looking skin? The Pollution Defense Ampoules will look to provide a long-lasting hydration that keeps skin moisturised all day. The texture is very light and absorbs really quickly on the skin. In the box you receive five individual ampoules which contains just the right amount of ingredients needed for each application. You can be reassured that the dark glass vessels actually helps to preserve the formula for longer hence giving the best and effective results after application. After cleansing, I'd simply tone the face and decolletage with an individual ampoule, ensuring that I am using circular motions until it is completely absorbed. It's recommended that you look to apply this product every morning. Overall, I found that my skin felt more hydrated than usual which is great because I do find that my skin tends to dry out especially during the cooler seasons. The product absorbed easily onto my skin which allowed the product to be super effective. 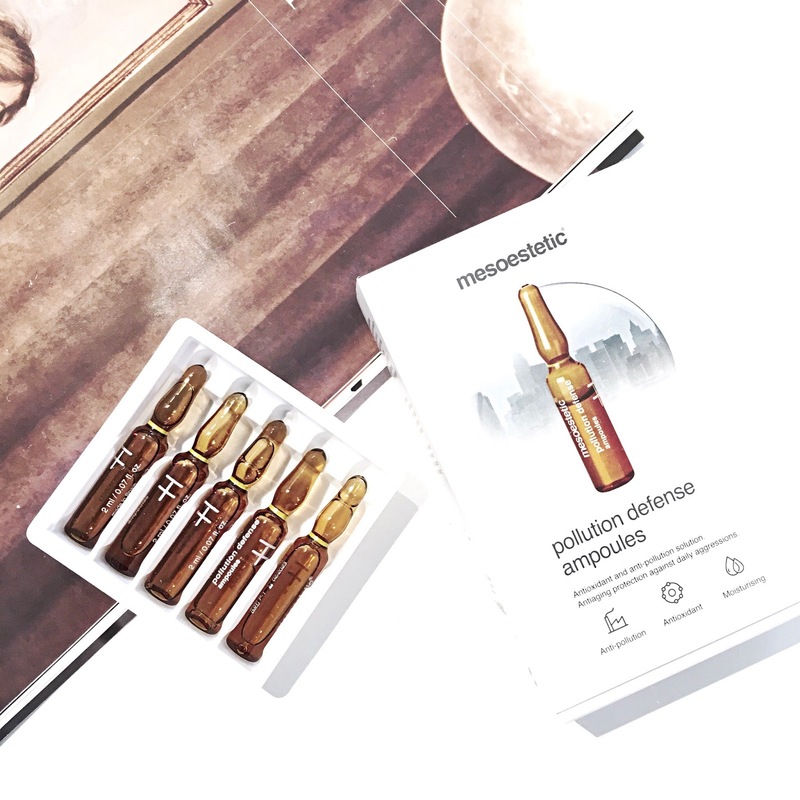 With continued use, I can look to expect to see reduced signs of ageing (mainly near my forehead and eyes) as the Pollution Defense Ampoules work to fight against any harsh environmental factors which can lead to premature ageing. 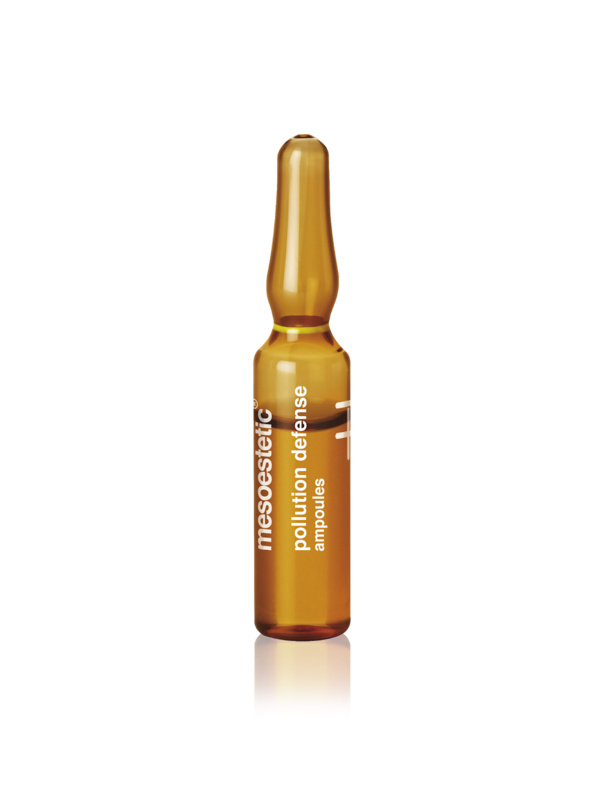 The NEW Pollution Defense Ampoules, RRP $106 and is now available via Advanced Cosmeceuticals or on 1800 242 011. Have you tried any of the products from the mesoestetic range?